Rickshaw pullers in front of Hyogo Prefectural Office in Kobe, Hyogo Prefecture. This French Renaissance style building was designed by renowned architect Hanroku Yamaguchi. 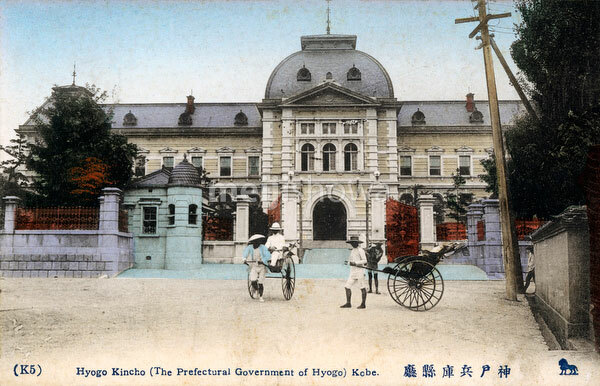 Completed in 1902, it was the fourth government building built in Hyogo Prefecture. Only the exterior walls survived the firebombing of WWII, but the building was reopened as Hyogo House, a prefectural building used for conferences, meetings, memorial services and receiving important visitors. See blog entry.